The William Pepper Laboratory culminated the transformation of Penn’s Medical School into an elite medical institution. 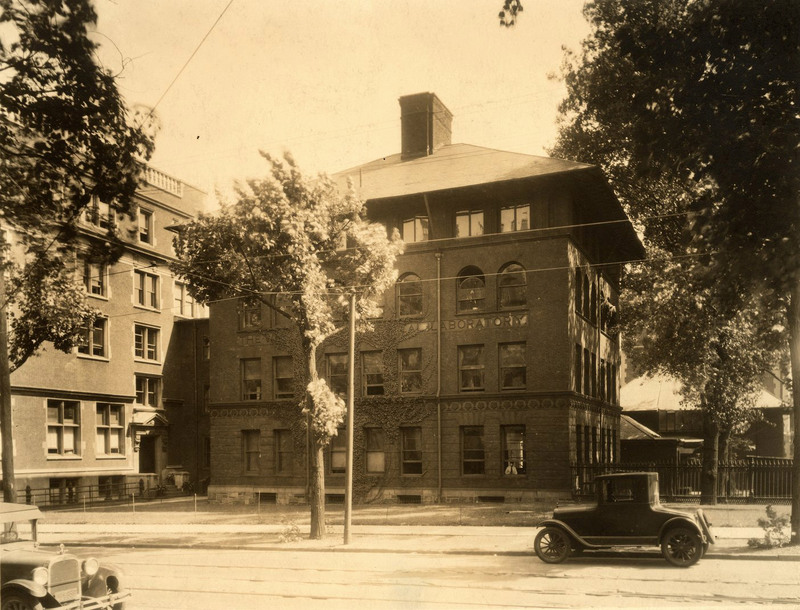 The University of Pennsylvania reorganized the Medical School to improve education and promote research. Fixed salaries decreased the emphasis on teaching and allowed faculty members to conduct various studies. Penn’s reputation spread, as its diverse faculty contributed to various scientific and medical fields. In 1891, William Pepper, Jr. campaigned for a facility “devoted to research and postgraduate teaching, not to instruction of undergraduate medical students.” To fund this research laboratory, Pepper contributed $50,000 of his own money and raised another $130,000 from state grants and donations. The facility opened in 1894, and professor William H. Welch exclaimed, “It is the first laboratory of its kind provided with its own building and amply equipped for research in the country…and it is not surpassed in these respected in any foreign country.” The laboratories were specifically designed for microscopic, chemical, and bacteriological investigation. The building housed nine physicians researching physiologic, chemical, bacteriologic, and pathologic problems of human disease. The Medical School’s new facilities, university support, respected faculty, and diverse curriculum rivaled those of European institutions. « Reformers: George B. Wood and William Pepper, Jr.